Fans of the Need for Speed series are in luck, as video game company Electronic Arts has now announced that a new game in the franchise will be with us this fall. Need for Speed: Payback will arrive two years after 2015’s Need for Speed reboot, which frankly wasn’t the best game in the series to date. Although Need for Speed: Payback sure is looking promising judging by its reveal trailer below, which amongst other things shows the game’s three protagonists (Tyler, Mac and Jess). The fact that you can play as three distinct protagonists will remind some of Grand Theft Auto V, which also had a trio of characters you could switch between during the game. And in Need for Speed: Payback, each character will have his or her own story, with all three looking to get even with a creepy cartel known as “The House”. Like other Need for Speed games, this is set in a fictional city, in this case the setting will be Fortune Valley, which bears a more than passing resemblance to Las Vegas (actually, you’ll be up against a casino cartel here). Also, EA’s announcement made it clear this will take car customization to new heights, stating that “featuring the deepest customization from the series, players can truly craft a personalized and unique ride, or spend hours finding and tuning an abandoned derelict into a supercar”. 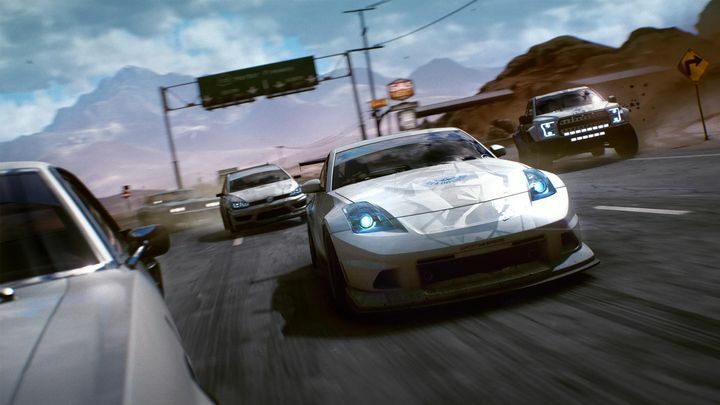 Another interesting feature of the new Need for Speed is that winning races won’t be mandatory to make progress, as was the case in the 2015 game. This will surely be a welcome thing by those who simply want to enjoy the story, without feeling the pressure to ace the game’s racing challenges. As EA put it, Payback will be about “building the perfect ride, getting behind the wheel and playing out an action driving fantasy”. So this upcoming Need for Speed game is looking good then, and we’ll surely be seeing more of it at this year’s E3 show. And hopefully Need for Speed: Payback will help put the franchise back in the spotlight and remind fans of everything that made this racing series great to begin with. Note: Need for Speed: Payback will be released on November 10, 2017. Available on PS4, Xbox One and PC.